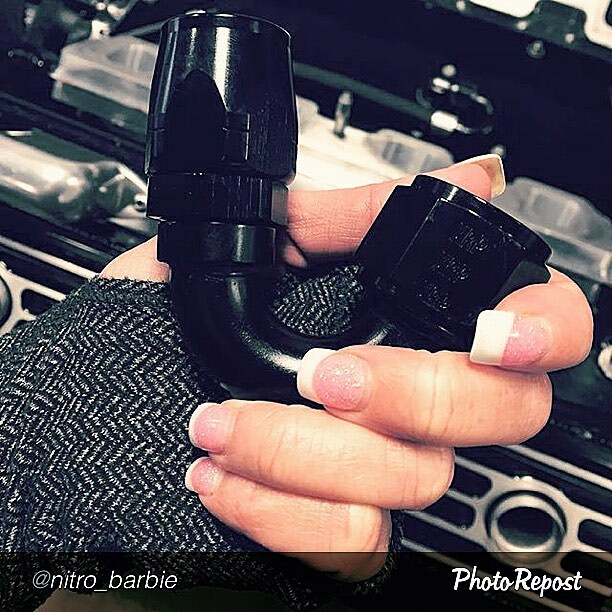 XRP’s Hose Ends and Fittings are often called the “Jewelry of the Performance Industry!” Products that perform to the highest quality standards and look cosmetically awesome as well, especially in the right hands! Thanks for this beauty shot Jana!! @nitro_barbie – XRP, Inc.